The most widely used military, the Bell UH-1 series Iroquois, better known as the “Huey”, began arriving in Vietnam in 1963. Before the end of the conflict, more than 5,000 of these versatile aircraft were introduced into Southeast Asia. “Hueys” were used for Med-Evac, command and control, and air assault, transport personnel and material; and as gun ships. Considered to be the most widely used helicopter in the world, with more than 9,000 produced from the 1950s to the present, the Huey is flown today by about 40 countries. The UH-1 is one of the most modified helicopters in service today. It was originally designed for local air base rescue, it was delivered to the Air Force in the early 1970s. It was the single engine version of the Huey first flown in 1956. It has been modified to more than 15 different models with numerous variations applied. It can carry 12 passengers and cargo or 6 litter racks for patients and 1 medical attendant. 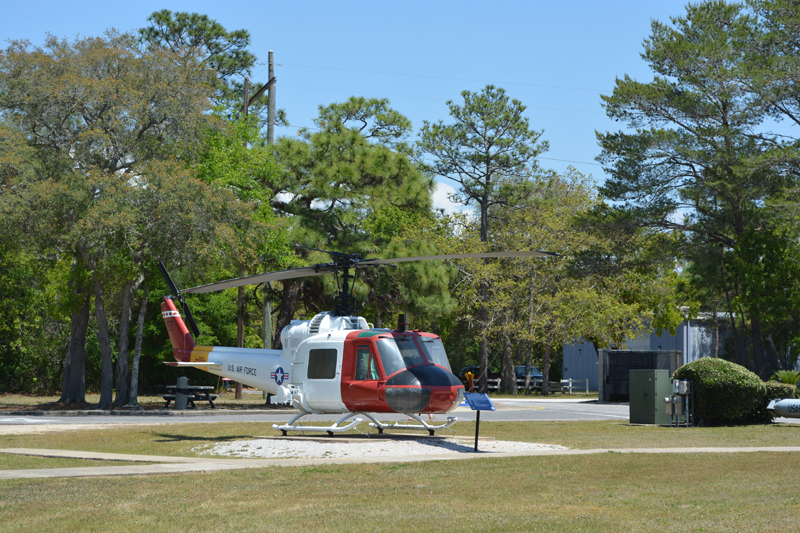 This UH-1M helicopter S/N 66-15186 on display here was originally property of the US Army. This helicopter served with several different Army units in Vietnam from December 1967 – June 1970. It was acquired by the AF Armament Museum in December 1999. It is depicted in the paint scheme of the UH-1N helicopters that are currently flown by the 46th Test Wing, Eglin AFB, FL. The tail number of one of the unit’s helicopters will be assigned when one of them is retired.